Rio De Janeiro - A German-Israeli man who fled to Brazil after being convicted in the killing of a Palestinian taxi driver in 2004 was extradited. Yehoshua Elitzur, 46, was arrested in Sao Paulo in 2014, putting an end to a decade-long manhunt. He left Brazil on Wednesday and was scheduled to appear in court for a remand hearing after his arrival in Israel, that country’s Ministry of Justice said in a statement. “He will try and prove his innocence” because he committed the homicide “while in trouble and in self-defense,” his defense attorney told the Israeli media. In August, Brazil’s Supreme Court decided unanimously to accede to an Israeli request to send Elitzur back to Israel to serve a prison sentence for killing Sael Jabara al-Shatiya. Judge Luis Roberto Barroso hailed the Israeli government’s effort to punish the West Bank resident and read a report from Brazil’s umbrella Jewish organization, the Brazilian Israelite Confederation. According to the indictment, Elitzur flagged down Shatiya, who was driving toward him in a van on Route 557 near the Elon Moreh settlement. Armed with an M-16, Elitzur stood in the middle of the road and demanded that the Palestinian halt and get out of the car. Shatiya did not stop where Elitzur demanded, continued driving and began to pull over farther down the road on the shoulder, at which point Elitzur allegedly shot and killed him. Elitzur claimed that he had acted in self-defense and that Shatiya was trying to run him off the road, but witnesses at the scene denied the claim. He initially was accused of murder, but was convicted of manslaughter after prosecutors could not prove he had intended to kill Shatiya. 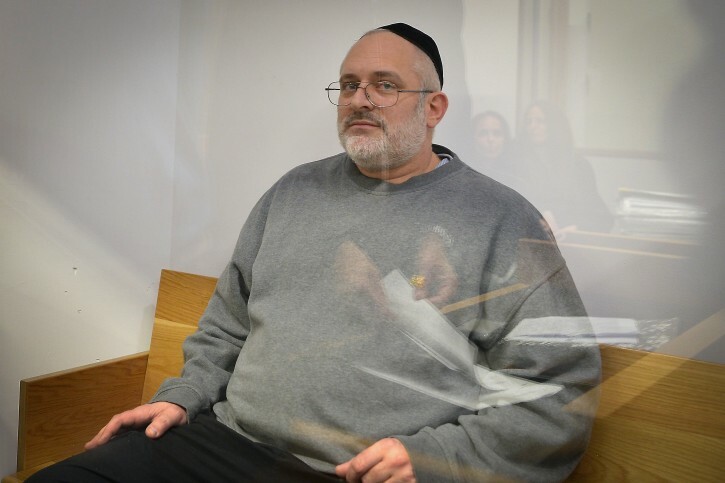 Elitzur, who also holds German citizenship, was placed under house arrest in the Itamar settlement and eventually convicted and sentenced to 20 years in prison. However, he was able to use his German passport to board an airplane out of Israel. He was caught 10 years later in Sao Paulo at his hideout, a kosher restaurant. According to Brazilian authorities, Elitzur entered the country with false identification and lived there until 2015, when he was arrested after Interpol issued an international arrest warrant for him. Israel and Brazil signed an extradition treaty in 2009. It is quite strange how Israel had this individual extradited; yet, it has refused since 1985, to extradite that coward Colonel Aviem Sella, who was Pollard's principal handler, and who fled from the USA. If the Israelis had extradicted Sella, and returned the stolen documents which Sella requested from Pollard, Pollard might have been freed decades ago. Well, it is not strange. Pollard was an illegal. He was not really a part of the Israeli intelligence family. He was a useful fool who the Israelis would have (well did) thrown away if there was any advantage. Sella was a legal. He was promised Israeli protection from the get-go and the Israeli government was obligated to protect him. In the same way, expect little from the Chinese government about the Chinese-American spy recently arrested. The told him he was their buddy while they were using him. Now that he is arrested they do not care. Now extradite Malka Leifer, Kolko, Weinberg & all the other perverts hiding inplain sight in B'nei Braq, Har Nof, Ramat Beit Shemesh, Ashdod etc etc. Israel, you can't have it both ways - if you get back this guy, do the right thing by the multiple victims of these perverts & SEND THEM BACK TO FACE TRIAL!